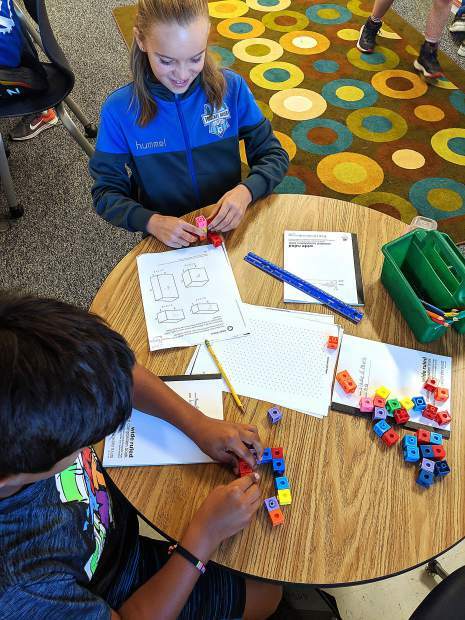 In Glenshire Elementary's accelerated learner program, students dive deeper into math concepts and work to apply the math to real-world situations. They ask questions like “How many students will fit on the playground?” Then they use Google Earth to capture authentic data to answer the intriguing question. 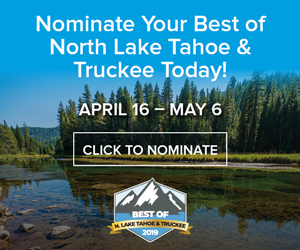 At Tahoe Truckee Unified School District, every student is different. Their needs are different, and the way they learn is different. Each school focuses on the individual and adjusts instruction to meet their students’ needs. But what does this look like? At Glenshire Elementary, the math accelerated learner program is one way we adjust instruction to meet the needs of our students. This program is offered from third to fifth grade through flexible student groupings. Pre-assessments are done before each math unit in third through fifth grade to determine the level of understanding of concepts, as well as the level of mathematical thinking, using the Standards for Mathematical Practice. Can students solve problems in multiple ways? Can they explain relationships in problem situations? Are they able to critique the reasoning of others, constructing viable arguments, and using appropriate tools strategically? Based on these assessments, a student may stay in the classroom for one unit, while in another unit, the student travels to a different class for extension lessons. One of the classrooms a student may travel to is accelerated learner with Mrs. Donahue. In the accelerated learner program, students dive deeper into math concepts and work to apply the math to real-world situations. They ask questions like “How many students will fit on the playground?” Then they use Google Earth to capture authentic data to answer the intriguing question. In a different scenario, students become video game developers for Mojang, the developers of the popular Minecraft game. Mojang has recently been receiving many bug reports about their crafting table feature and has hired the students to resolve the problem. Fifth-grade students in the accelerated learner classroom apply the concepts of volume to a real-world packaging problem. They calculate the smallest box possible for the items ordered. No more gigantic delivery boxes with one tiny item if these students were in charge! Thanks to our Parent Teacher Organization, we offer a wide range of before and after school enrichment classes as well. Classes include violin, guitar, ukulele, drumming, hip hop, chorus, martial arts, yoga, science and track. With the academic support and opportunities to extend learning during the school day and beyond, we are able to meet the needs of our students. I feel so lucky to be part of this amazing school. Our students have a sense of joy when they come to school; they are engaged and want to be here. Our staff is passionate and dedicated, and they create the caring environment we are known for. We put kids first, and students thrive as a result! Kerstin Kramer is principal at Glenshire Elementary.